I'm keeping mine. The .357 dak had work done by Robert burke. So, are all of you that say a 239 is too heavy for the low capacity feeling the same way about 1911s? I have a .45 Shield with the same capacity as a 1911, yet is lighter, slimmer and shoots better than most 1911s, ( to me anyways ). I have no plans to sell my P239. In fact, I may buy another one. If it isn't hammer fired, I have no use for it. Honestly, this is a good thing. P239 lovers can find a lot of spare pistols, mags and parts for cheaper than before. Those unloved guns can go somewhere they are appreciated. I have one 1911, a Colt that I bought simply to have and shoot for fun. I've never considered carrying it. Are these low capacity, metal guns obsolete? Heck no. But many consider them outclassed by more modern polymer-framed guns with greater capacity. yes I have a glock 30s now much better 10 rounds lighter weight e.t.c. I am cursed with little hands. Strong, just small. Nothing fits my hand better than a single stack. I own two P239’s and a Kahr T9 amongst others. A single stack that I can shoot really well beats a double stack that is uncomfortable for me. I had to carry Glocks at work for 15 years. Great guns. I shot them well. But, I had to work at it and, never really felt like I had the control I do with a single stack. 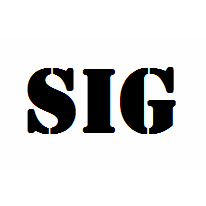 For me, there is a natural index I can get from a single stack. And, yes, I’m back to carrying a 1911. The ergonomics and shootability does outweigh capacity for me. I've always liked the idea of the P239, but I never felt that I could conceal it any better than a P228, so I never felt the urge to purchase one. I have to disagree. I own both the 239 and the 228. While I can conceal the 228, the 239 is hands down the winner when it comes to concealment. It is just easier to conceal a single stack. The real question for me is are 9 rounds enough or do I need 15? For off duty carry I feel 9 are enough while when on duty it's a 226 with 19. While I am currently giving the nod to my G19 for CCW, I am keeping my P239 9mm. 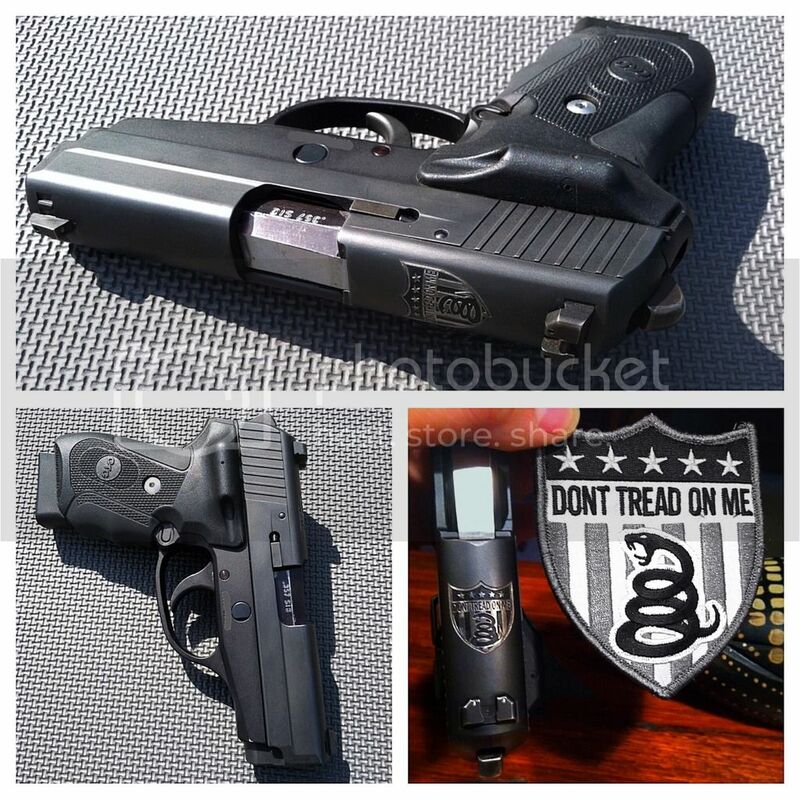 It is an excellent choice for CCW, just less rounds available. 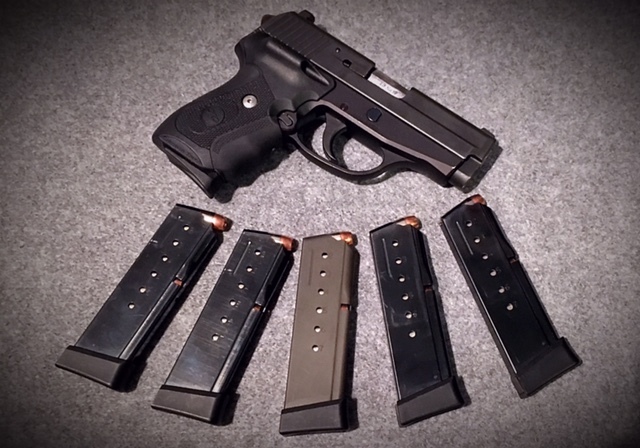 I dumped my P239 15 years ago for the much better P225. Preach it, again, brother ! I no longer carry my 239 IWB (replaced it with a G27 that gets a lot of abuse) but I'll also never sell it. 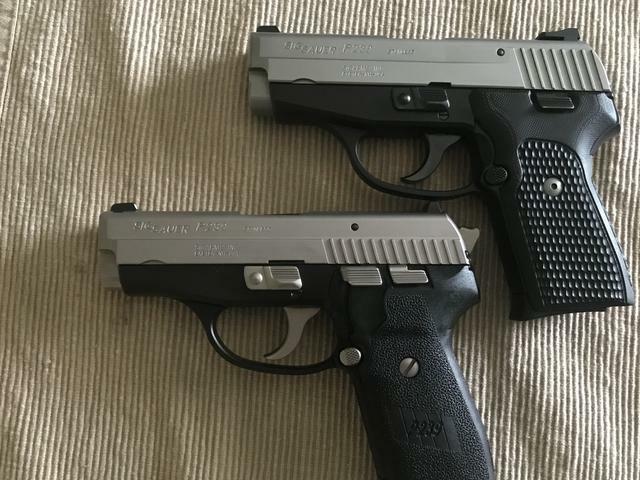 I think these will be great pistols to get new shooters into the classic P-series Sig line that otherwise couldn't afford an all metal SIG. I live in central Florida, can't believe the amount of under $500 P239's for sale on local sites. One of my favorite go to's and when you see them from 4 to 5 hundred dollars it makes you wonder if people are dumping them just because they are not made anymore. I wouldn't think of selling my 239 in .40. It's just too good of a shooter in my hands. 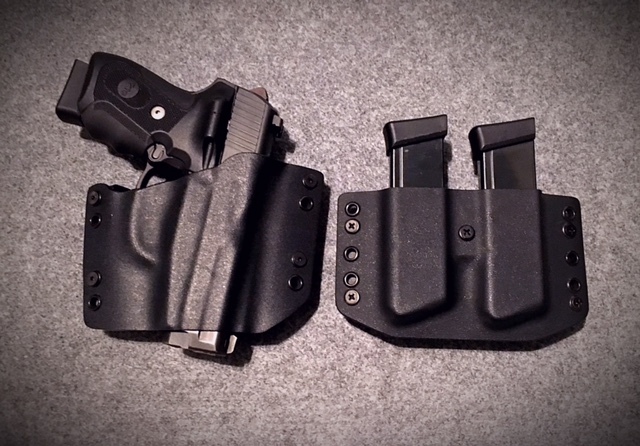 I'm a thin guy and single stacks conceal far better than double stacks, thus the 239, 2 1911's, 938 and 238 are my carry options. My wife and I are in our 70's and are never in parts of town at night where we might run into trouble, so 8 rds are more than enough.